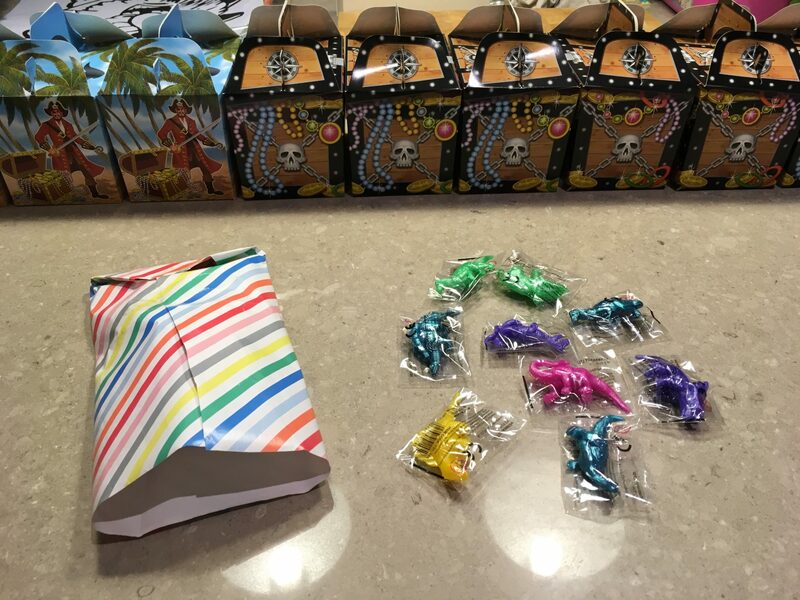 Tips for hosting your very own pirate party! 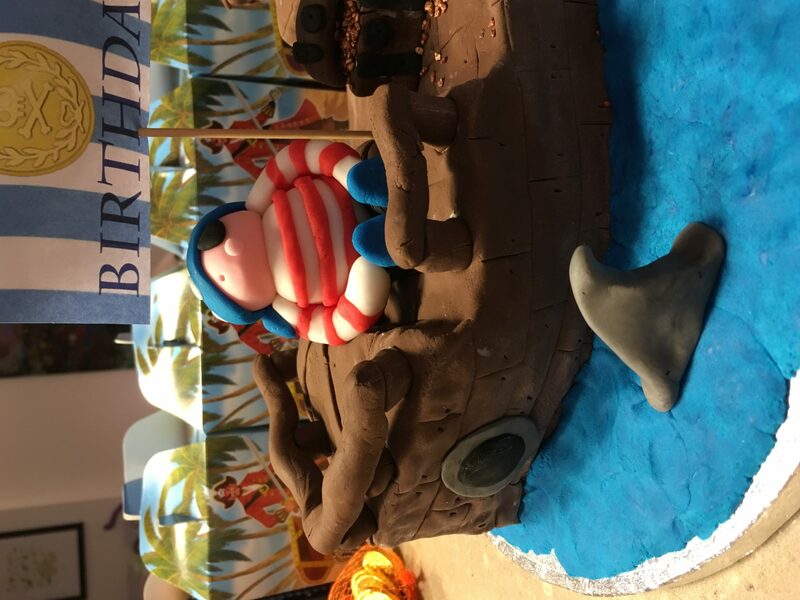 The pirate themed party for my son’s 4th birthday was a resounding success, I’m pleased to report! 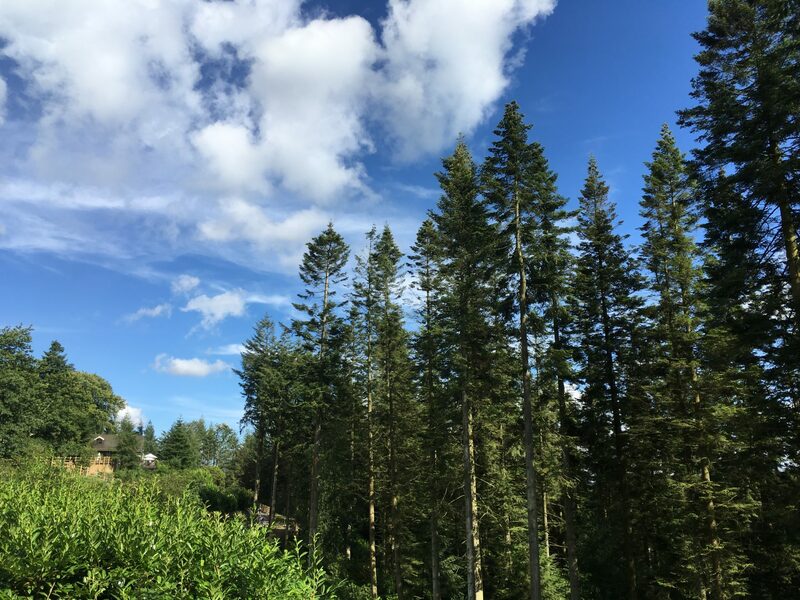 In this post I’ll share all the details for anyone who is interested. If you need more information please do feel free to ask in the comments below. 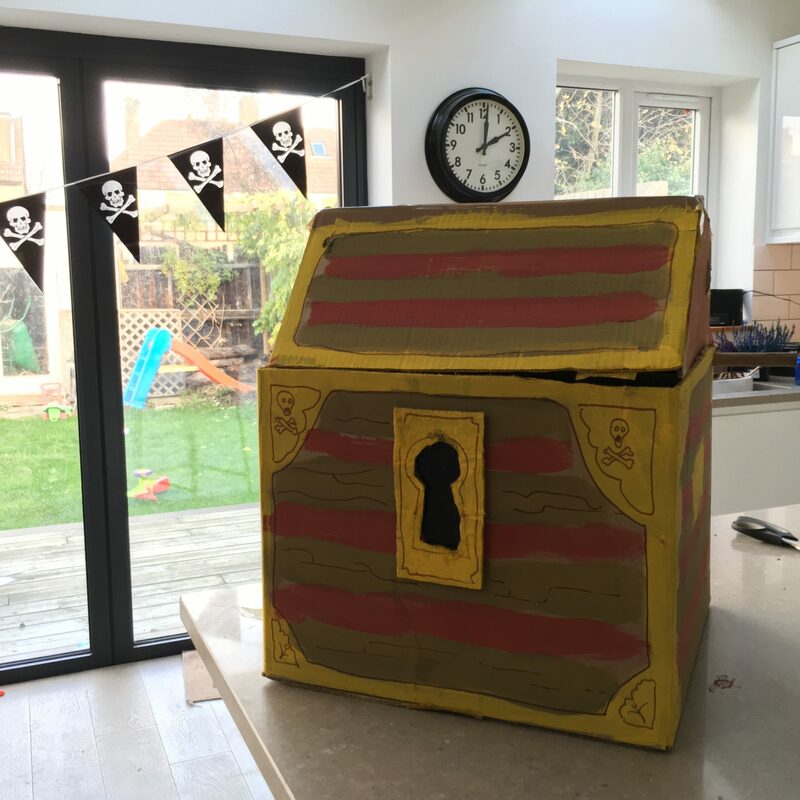 My husband craftily made this pirate treasure chest out of a cardboard box. This was a huge hit with the kids. We filled it with plastic balls (the kind you get in ball pools at soft play, ours are from mothercare), but shredded newspaper would have worked equally well. The chest then functioned as a lucky dip box. We bought mini pirate telescopes (they don’t really function but are fun as a bit of pirate kit) which were from amazon, and each one was wrapped up and put into the chest. At the start of the party each child had a go at rummaging in the chest for their prize. I bought party boxes for the party food. The party time was 1.30-3.30pm, as I didn’t want my son to be too tired for the party, but I needed the morning for preparation! Having it after lunch also avoided having to give the kids a full meal, though they still had plenty to eat! 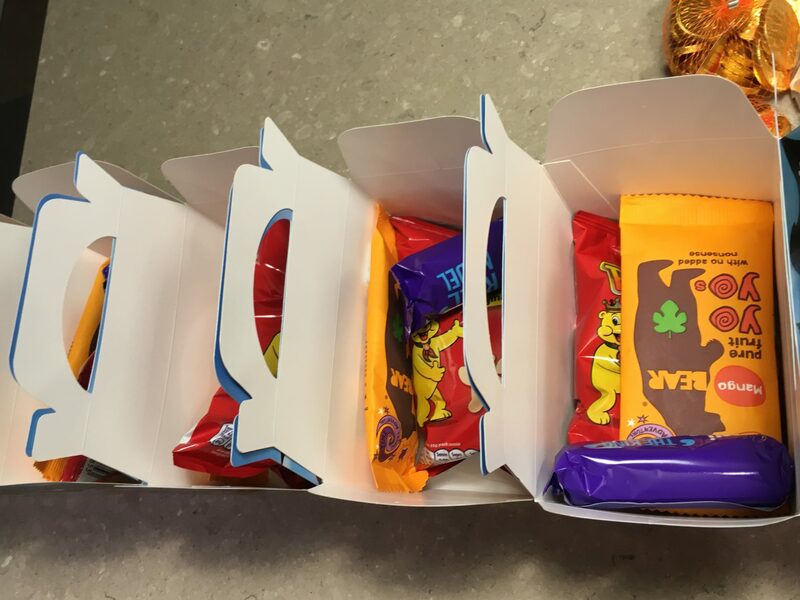 Each party box contained a bear to-yo fruit roll, a chocolate mini-roll and a pack of Pom-bear. Each child also got a fruit shoot which once chosen was labelled with their name (I pre-wrote the labels and my daughter helped with the process of sticking labels on during the party). We had labels for the party food boxes as well so each child could just grab any one box and it could be labelled afterward. This is a picture of the pass the parcel while it was being wrapped. The central prize was a light up yo-yo and each layer contained a stretchy dinosaur (25p from a shop called Fun Learning). 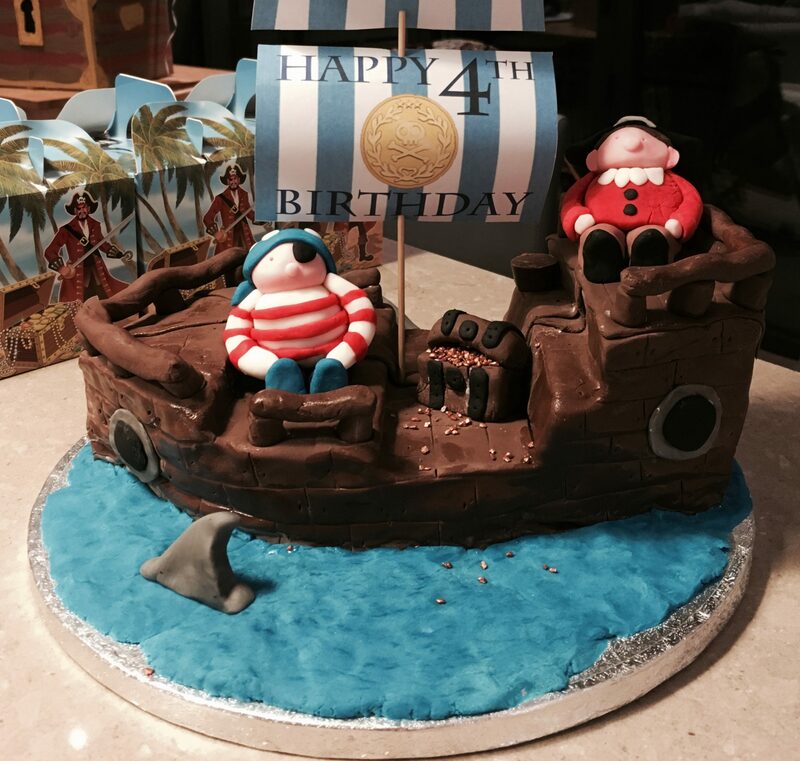 And last but not least the pirate ship cake! I made this myself using box mixes for speed (Betty Crocker devil’s food cake) and a YouTube tutorial by the icing artist (icingartist.com) without which I could never have managed it. 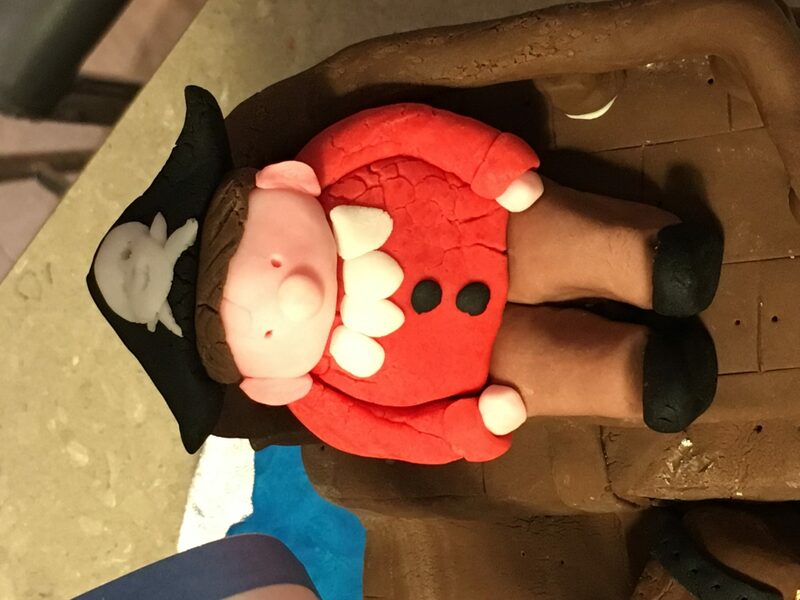 The pirates themselves I fashioned from fondant, just using pictures of pirates I found from a google search. I’ll update shortly on all the other games the kids played which my husband (dressed as a pirate!) led. Please check out my next post to read about the Ever after high/My little pony madness of my daughter’s 8th birthday. You might be interested to read this post, about taking my son to drive a miniature Mercedes car! Thanks! Let me know if I can help, we have had a number of parties now, of various descriptions! Thanks so much! I also made about a gazillion cake pops that week, for my kids’ classmates…I didn’t want to see a cake again, ever, by the end of November! Wow that all sounds great, and much healthier than our party! I’ll have to steal your ideas for next year 😉. Thanks for commenting! Oooooo fantastic ideas. I have twin pirates and some of these ideas might be handy for the next birthday! Twin pirates! How sweet! Glad you might be able to use the ideas, the treasure chest went down very well with the kids! Aw thanks so much for your lovely comment! It is a little rough around the edges but the kids didn’t seem to notice so who cares, right! Thanks! I have to give my hubby credit for the treasure box! Thank you for stopping by!